1 collage | This Blog Rules | Why go elsewhere? 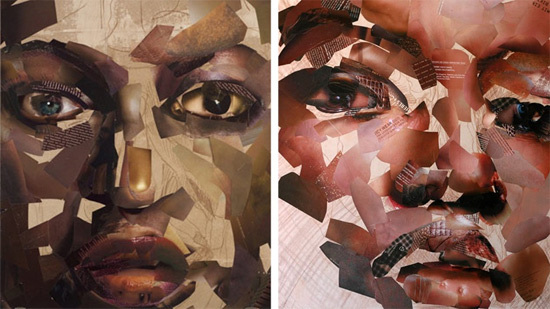 An Austrian artist named Gabi Trinkaus calls herself a “media thief” because she uses small pieces of glossy magazines to make portrait collages. Many would say that the portraits look creepy but they are trying to show the aesthetics of advertising and media.